The bulk email plugin is an essential tool for administrators to communicate with their constituents in bulk. This month we're happy to announce two major upgrades to the bulk email tool. First, the limit for bulk emails has changed from 250 at a time to 25,000 at a time. That's a 1000x increase, and is crucial for large applicant pools! 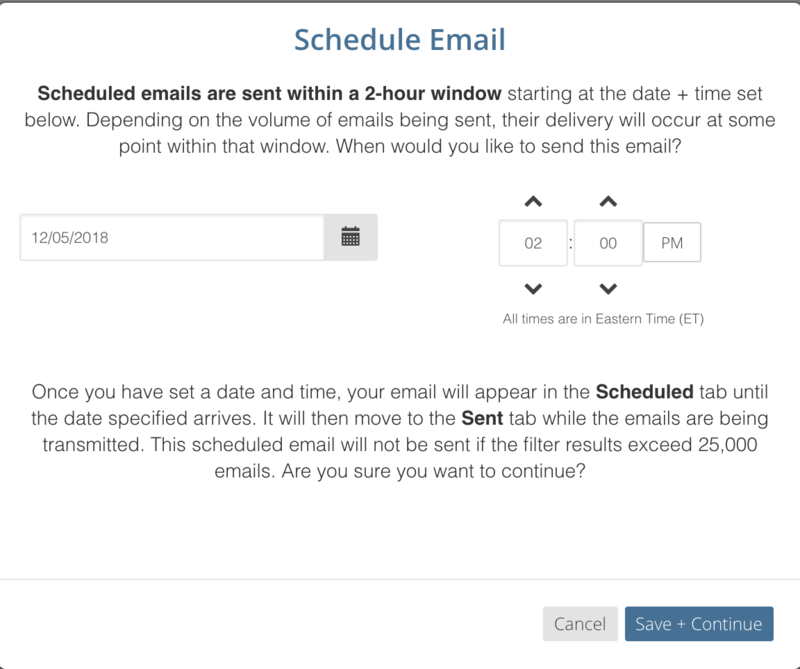 Additionally, we've introduced a new option to schedule bulk emails in advance. 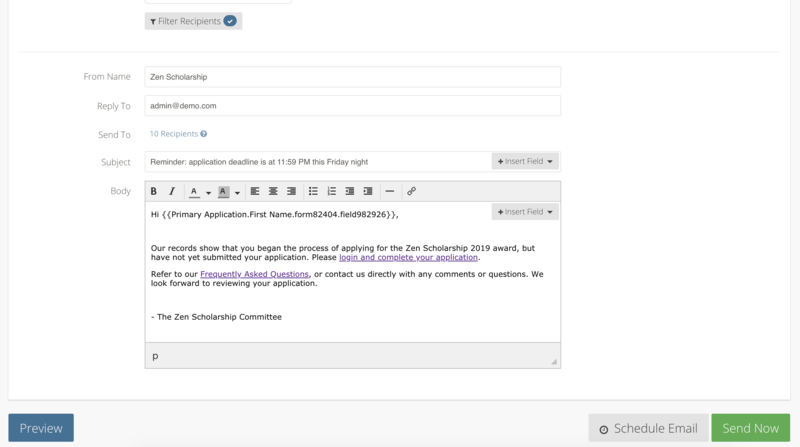 Administrators can create a draft email and filter down the list of recipients just like an email they intend to send immediately. However, they can now choose to schedule the email at a future timeframe. The message will be sent to the set of emails that match the filter criteria at the time of sending. For example, you can choose to schedule an email next Wednesday at 2 PM to only send to those who have an incomplete, draft application in the system as of that time. If anyone submits their application between now and Wednesday at 2 PM they will not receive the email. Scheduled emails can be modified or cancelled at any time until the scheduled date and time.